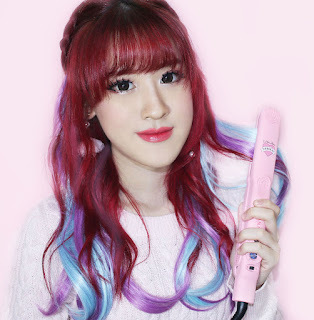 The Koji Dolly Wink cosmetic line is a collaboration between Japanese model Ms. Tsubasa Masukawa which is well known for her dolly style, and Koji Honpo which is a makeup marketing company. The brand is well suited for "the girl who wants to be a cute adult". Koji Dolly Wink Eyebrow Mascara has three different colors for you to match your trendy hair color. 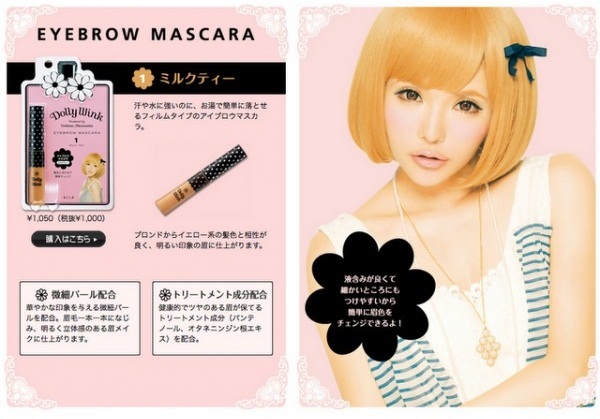 The eyebrow mascara is easy to apply and provides you a natural looking eyebrow. 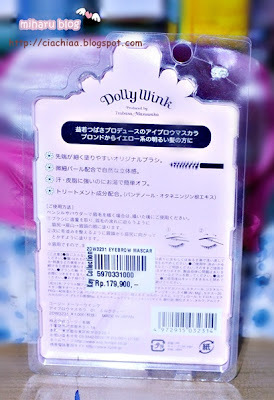 Koji Dolly Wink Eyebrow Mascara is waterproof and highly resistant to sweat and grease. Koji Dolly Wink Eyebrow Mascara can easily make your eyebrows look richer and naturally beautiful.. Give your eyebrows more volume and a tint of color with the Dolly Wink Eyebrow Mascara. Just one simple sweep will keep your brows in place and keep them looking freshly groomed all day. 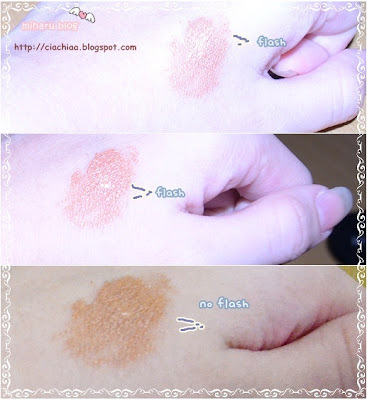 The light tint of color will not fade or smudge even if you sweat. The product also provides nutrients to the eyebrow and gives it natural healthy shining color. When you’re ready to remove it, gently wipe off with a makeup remover. Color the eyebrow at the reverse direction evenly, then smooth the eyebrow according to the natural direction where the eyebrow grows. Here's a closer view of my brows. They look so natural on me, especially since my hair color is somewhat of the same shade! 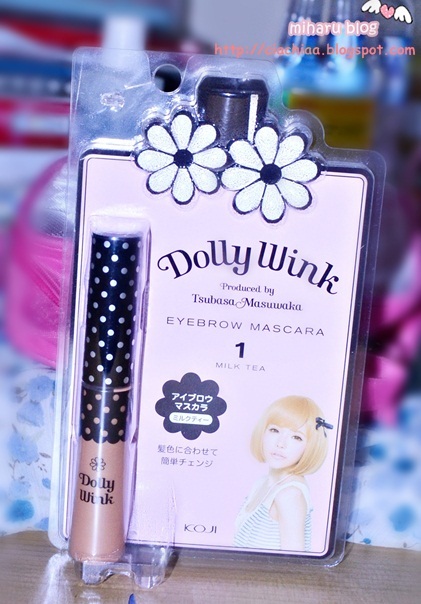 What I really love about this eyebrow mascara is that it's also perfect for cosplay and my blonde hair . Would I recommend this? Of course! Gives a groomed look all day. Waterproof and highly resistant to sweat and grease. Packaging: Simple, but still cute. i'd prefer love the polka dot design ( old bottle design ) than new design. Not easy to find this product on store. I'm visiting 4 store Kay Collection in the mall to find these products. haha ekstrim ka warna nya..